An indoor garment good for outdoor needs. 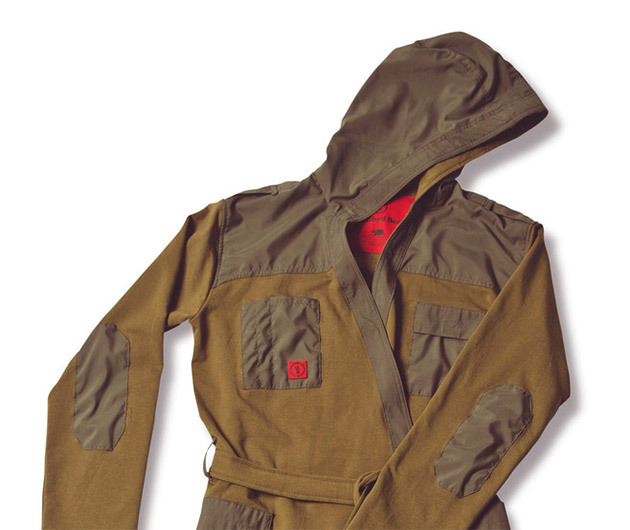 The Sport Utility Bathrobe houses a pair of side cargo pockets big enough for an iPad, chest pocket with toothbrush, pen and smartphone holders and another with a Velcro closure. There are Velcro epaulettes, reinforced elbows and an adjustable lined hood, decked out with materials such as bamboo-cotton fleece and brushed nylon. Comfortable, stylish and ultra-tough.